Below: Designed by Ernst Heinkel as the development of an excellent 1913 design, the Albatros B.II was a two-seat, training and reconnaissance biplane of wooden construction. 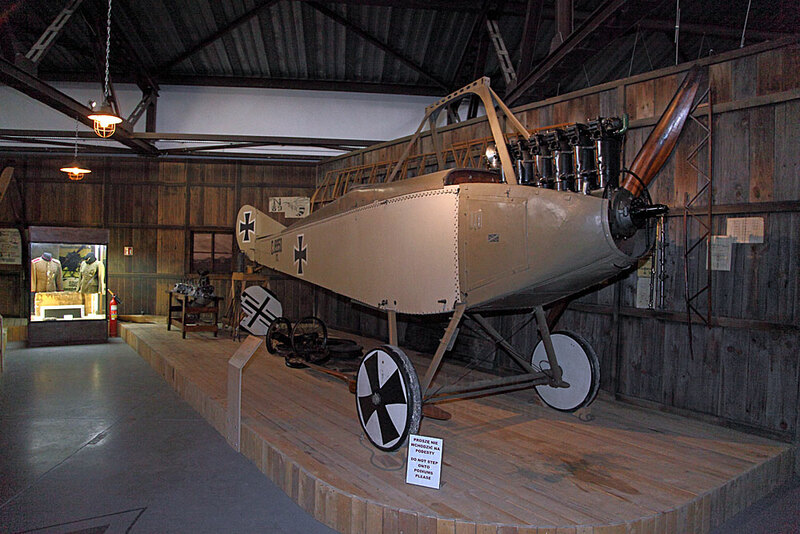 In 1914, after Heinkel had left the Albatros Works, an observation variant was produced. 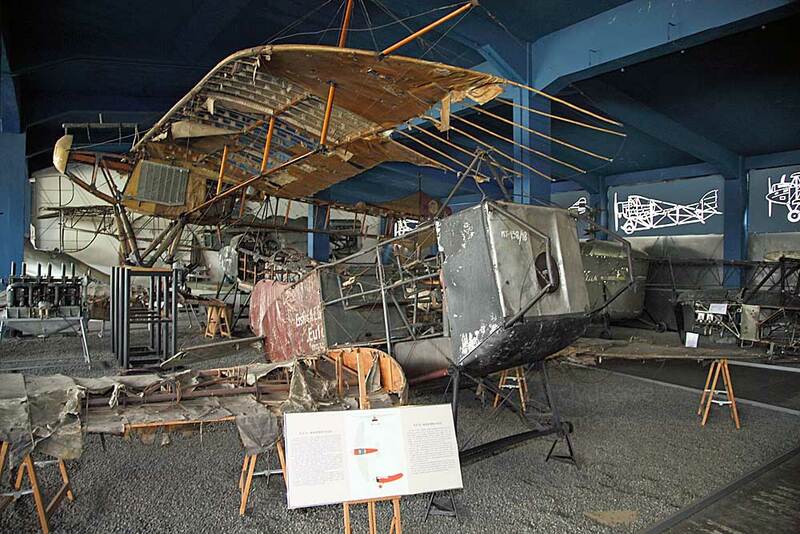 Albatros B.II airframes were also built by three different works in Warsaw with a total of around 3,000 Albatros B.II produced during the Great War 1914–1918. After the end of hostilities about 20 aircraft designated the L-30 were assembled at the Berlin-Johannistahl Albatros Works for civil aviation use. 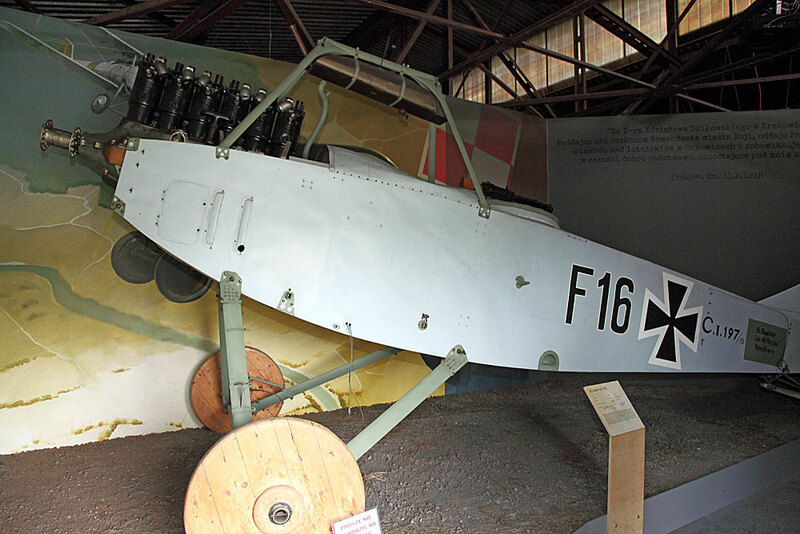 After Poland regained independence, between 60 and 100 Albatros B.IIs were transferred to the military as trainers and quickly became popular with the flyers. 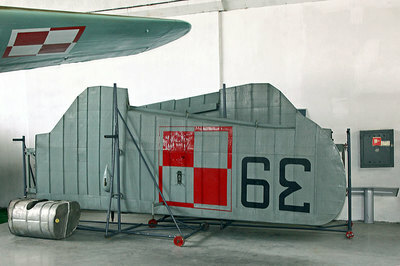 The last Albatros B.II was withdrawn from service with the Polish Air Force in 1927. The exhibit on display comes from the postwar series and bears factory number 10019. It was manufactured in 1919 and is among the longest airworthy airframes, having flown until 1940. It was restored at the Berlin Technical Museum in 1986 where it was painted to represent Albatros B.II 1302/15 named `Ada` after Ada Sari, a famous Polish opera singer. 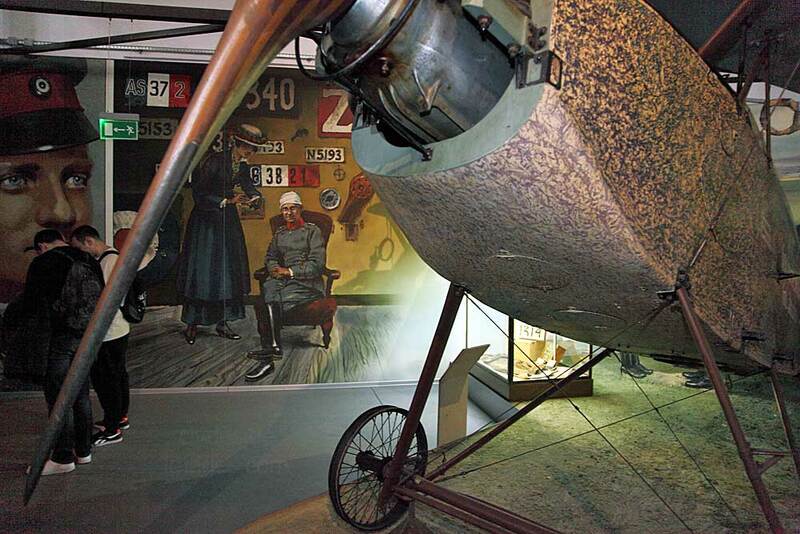 The original aircraft flew in 1920 with the Aviation Observers Officers School in the city of Toruń in northern Poland. 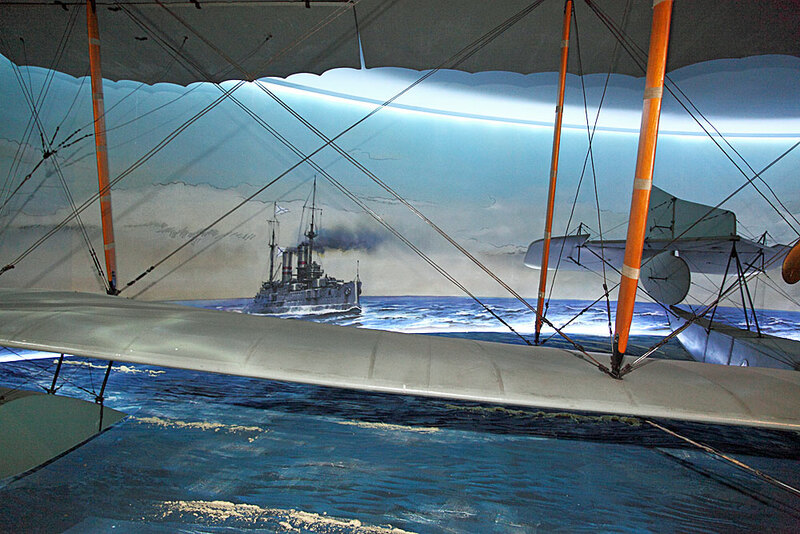 The Great War aviation display is particularly impressive with full-scale dioramas and a number of rare aircraft and artifacts. 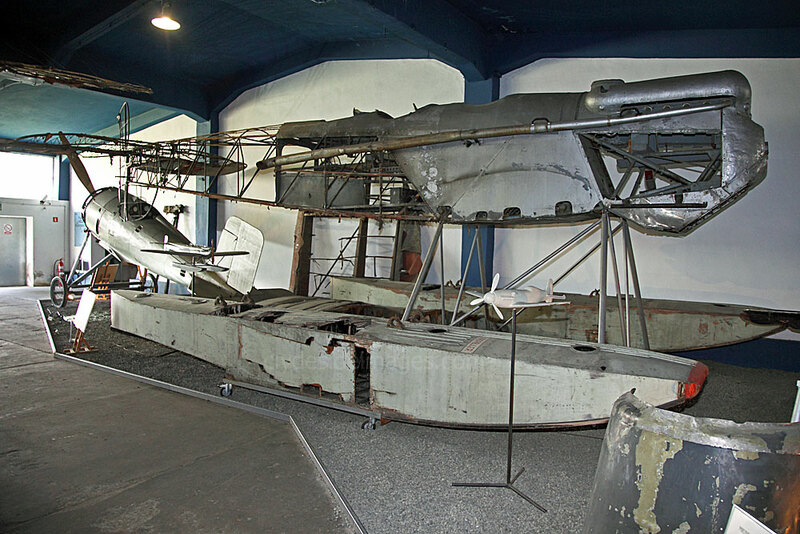 The Grigorovich M-15 was a push-prop biplane, long range flying boat which had two stabilising floats fitted at the ends of the lower wing. 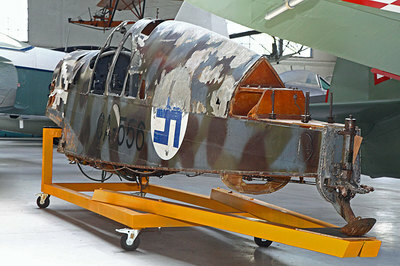 The museum's M-15, the only one to survive, was allocated number R II C 262, when it was built in 1917. 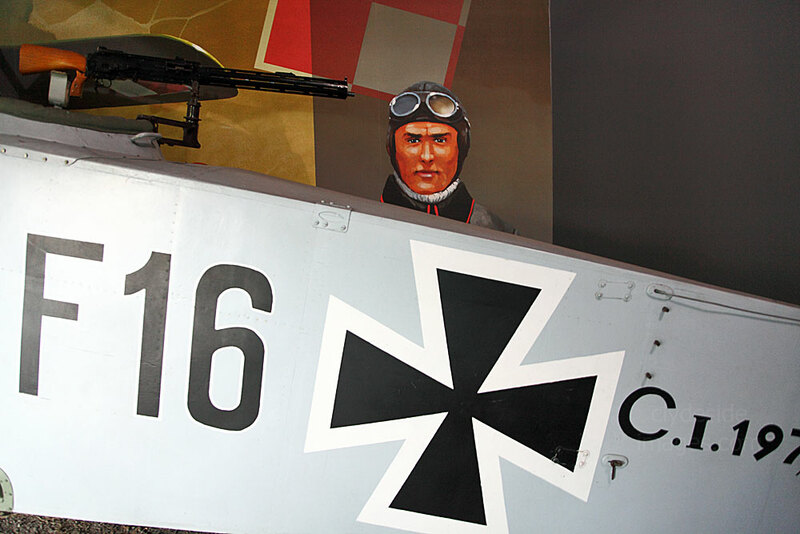 It was immediately assigned to the fortress flight in Arensburg. Estonia, on Osilia (Saaremaa) Island in the fortified Moonsund archipelago, which guarded the entrance to Riga bay. 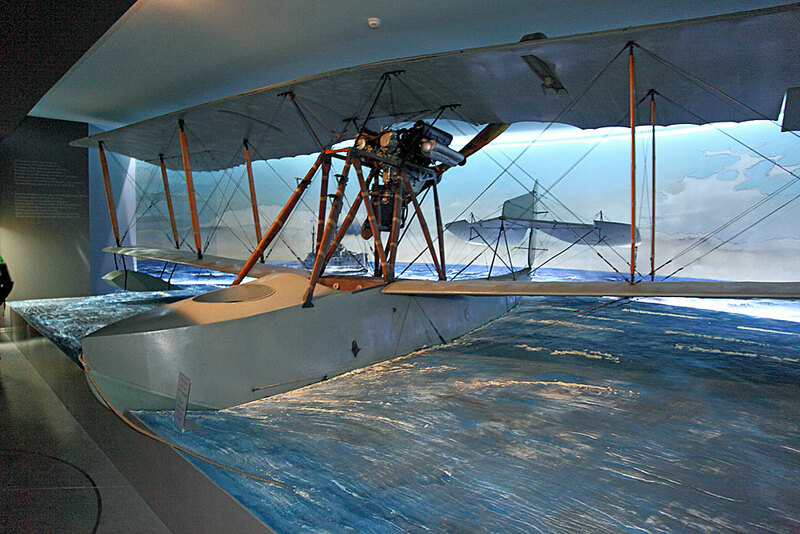 These islands were captured by the Germans in October 1917 when over twenty-thousand prisoners were taken, as were numerous artillery pieces and 10 aircraft, among them, this R II C 262 flying boat. 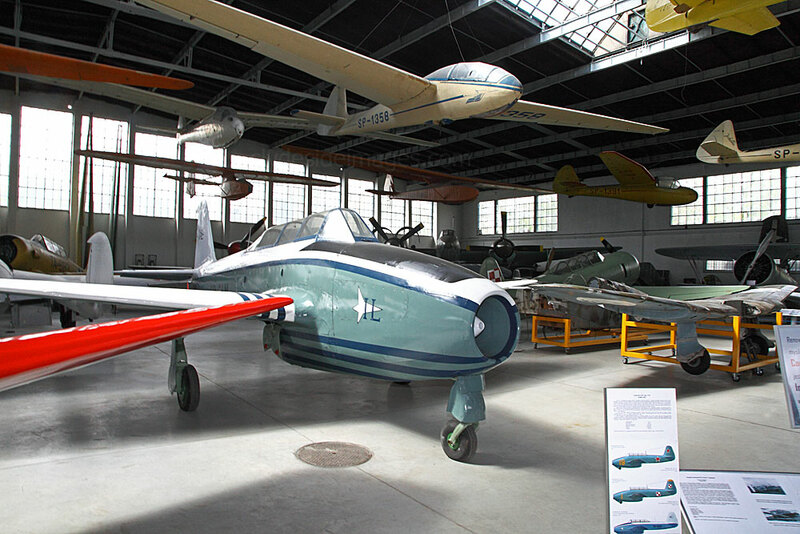 Following tests, the aircraft eventually reached the German Aeronautical Collection in Berlin. 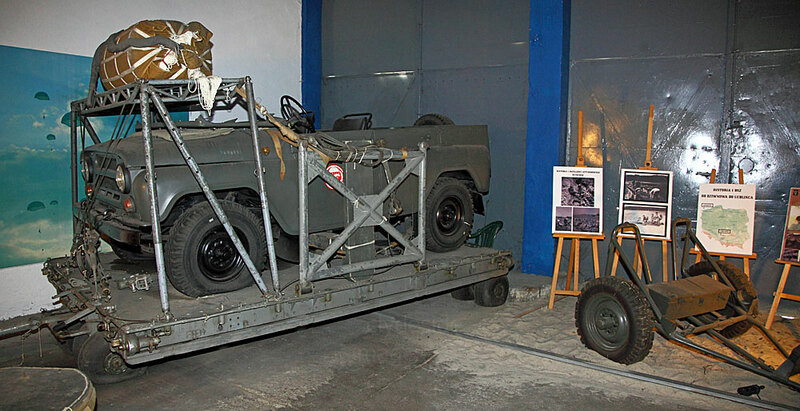 By 1945, it was a wreck lying abandoned in occupied Poland and in 1964 it was placed into the care of the Krakow museum where a lengthy restoration followed. The Mk XVI E Spitfire was the last variant produced in significant numbers that was powered by the Merlin engine. 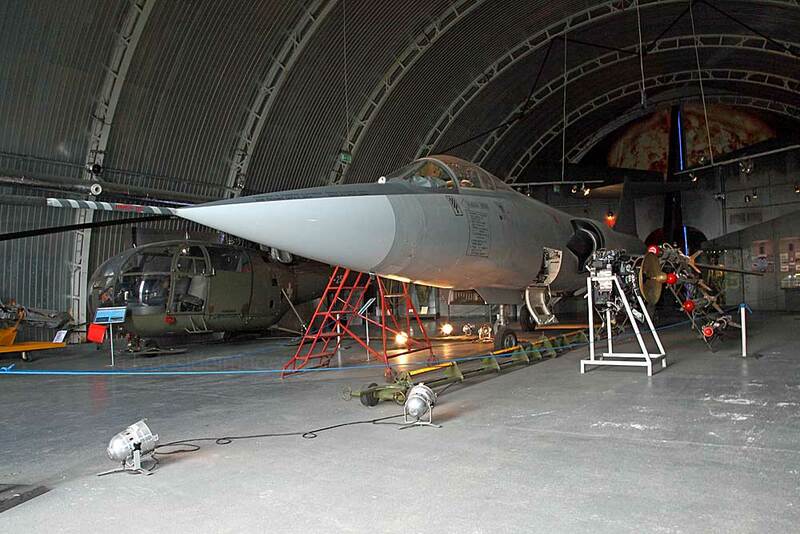 Polish Air Force fighter squadrons in Great Britain, namely No. 302 (City of Poznań), No. 308 (City of Kraków), and No. 317 (City of Wilno) were equipped with this mark. 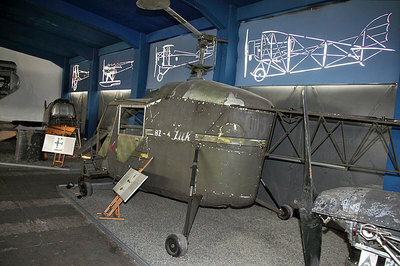 After the war, two examples were displayed at an RAF exhibition in Warsaw and were later donated to the Polish Army Museum in Warsaw. Unfortunately, due to hostile stance of the communist authorities at the time, these planes were scrapped soon afterwards. 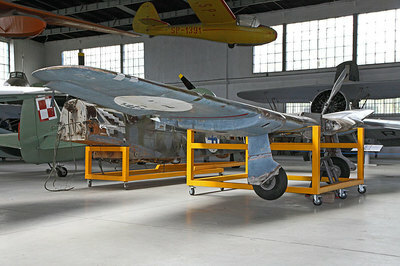 The Spitfire LF Mk XVI E AU‑Y in the Museum's collection was manufactured in 1944 and assigned to No. 421 Squadron RCAF. 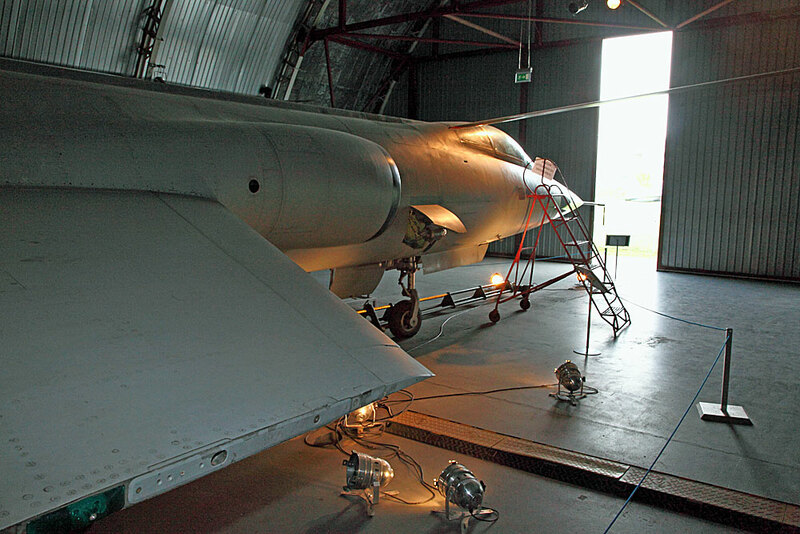 It survived the war and in 1956 became the property of RAF Museum Hendon. In 1967 the aircraft starred in the film `Battle of Britain`. 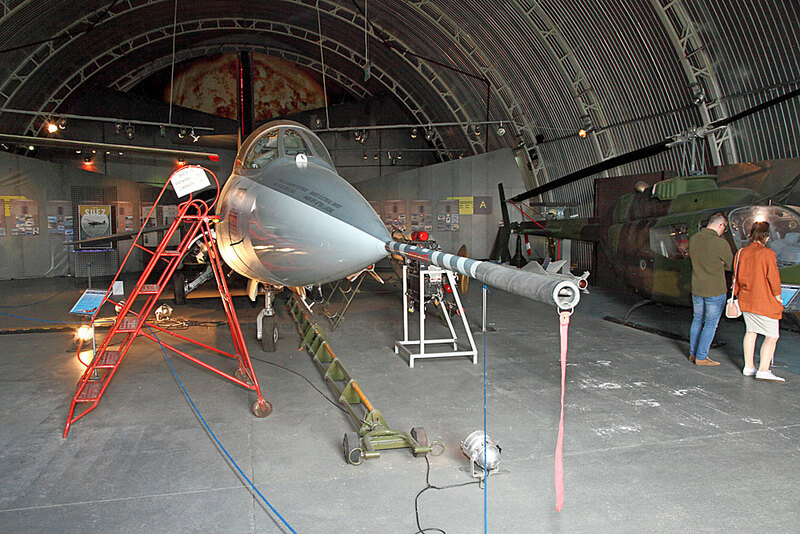 Finally, in 1977 the `AU‑Y` was handed over to the Polish Aviation Museum. ​At present, it bears the colours and markings of the No. 308 (City of Kraków) Fighter Squadron as the TB995 / ZF‑O. The original `ZF‑O` reached the squadron on the 15th March 1945. The `Zephyrs`, as the 308th was called, together with the entire 131st Polish Fighter Wing was based at the former Luftwaffe base at the Gilze-Rijen airfield in the Netherlands. The machines of the squadron flew combat missions, attacking ground targets, waterways and the V‑1 and V‑2 launching sites. The last mission of the 131st Wing was the participation in `Operation "Plunder`, the Crossing of the Rhine. After the end of the hostilities, the squadron became a part of the British Air Occupational Forces. The single seat, all metal Messerschmitt Bf 109 served with the Luftwaffe from 1937 until 1945, becoming one of the most famous aircraft in aviation history and forever associated with its adversary during the Battle of Britain, the Supermarine Spitfire. 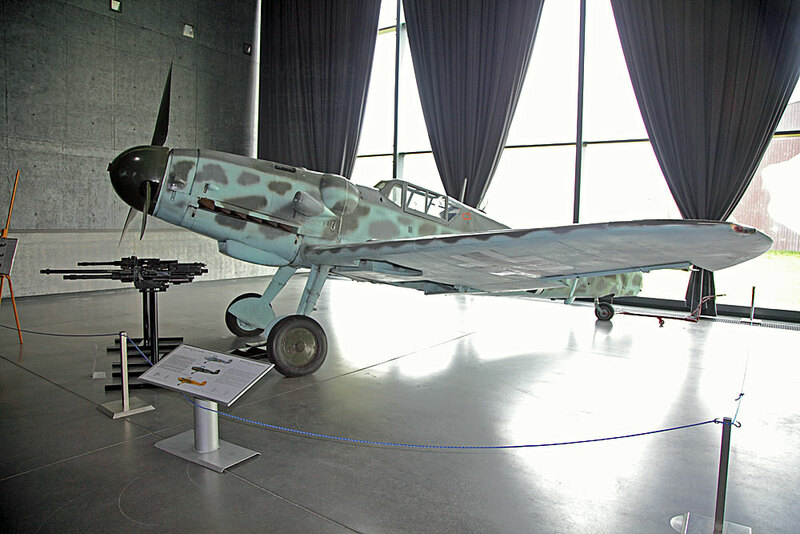 Bf 109G-6 `Red Three` on display at the Museum bears the factory number 163306. It left the Messerschmitt Werke in Regensburg on 11th May 1944 and was assigned to the Jagdgruppe West training unit. On 28th May 1944 Feldwebel Ernst Plein took off early that morning on a training flight but the aircraft crashed into the waters of nearby Trzebuń Lake and Plein was killed. 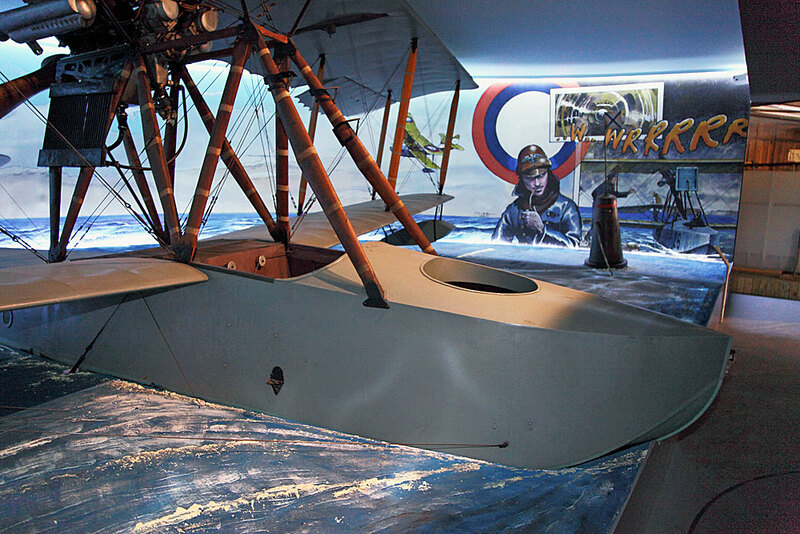 Thanks to the efforts of the `Polish Eagles Foundation` the wreckage was recovered in 2000 and restored. The single-engine, two-seat L-4 Grasshopper liaison aircraft was first used in 1942, during `Operation Torch` in support of the Allied landings in North Africa. As well as an artillery spotter, the type performed roles of air ambulance, observation and personnel transport. 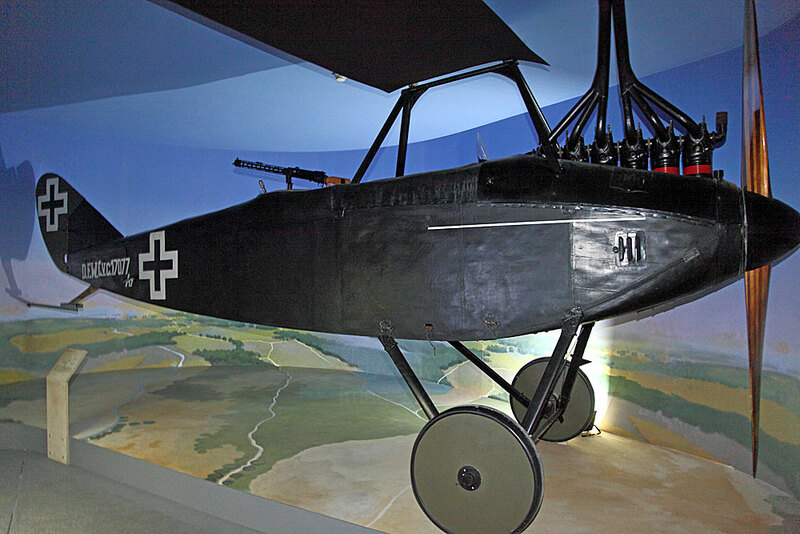 Although delivered unarmed, at the front L-4s were sometimes fitted with infantry machine guns or M-6 bazookas. ​By the end of the 1940's Poland had bought 141 Pipers, most serving as trainers, but they were replaced in the late 1950s with ideologically more appropriate Soviet designs. 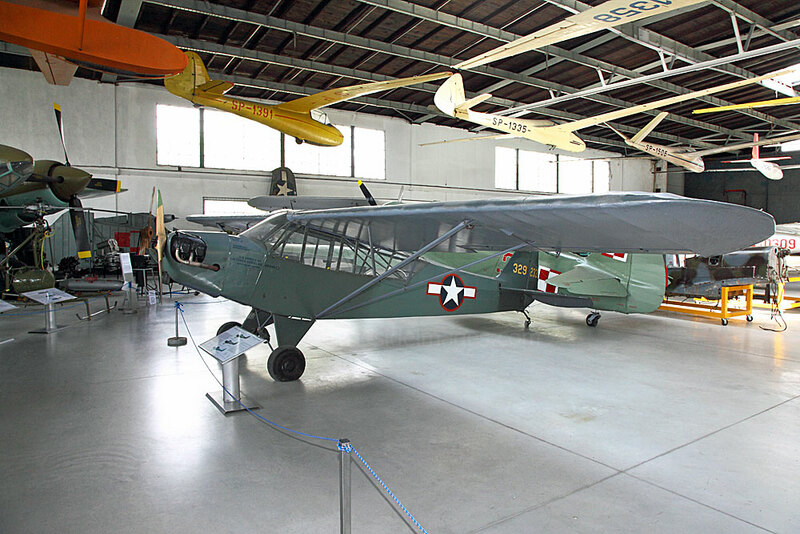 The L-4 on displayed served in 1943-1945 with the US Ninth Air Force in Africa and Italy. It was bought by Poland as surplus and registered as SP-AFP. Initially the aircraft was used as an executive 'taxi' at the Experimental Aviation Works in Lodz and was later flown by aero clubs. 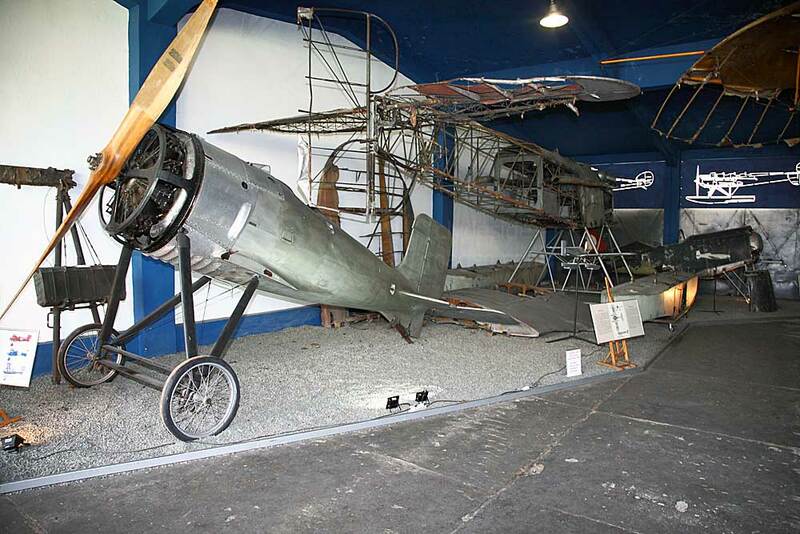 In 1976 it was donated to the museum by its last user, the Workers Aero Club in Świdnik. 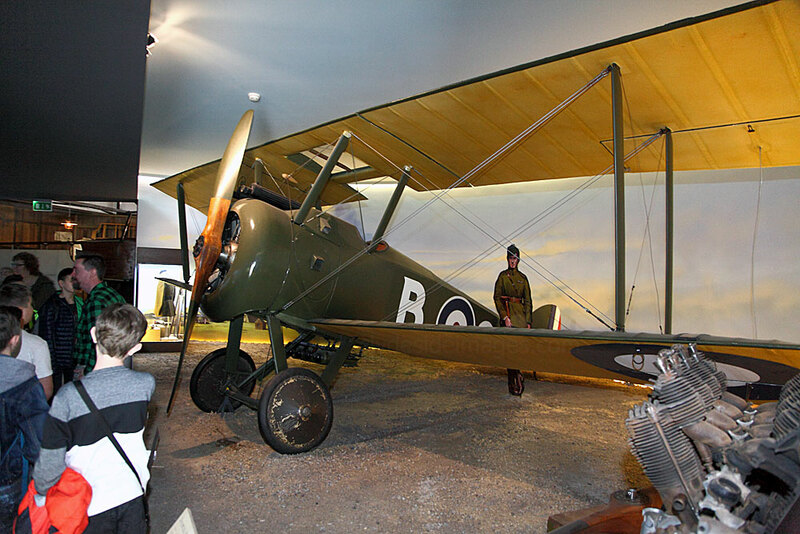 After restoration in 1998 the aircraft was repainted to represent its original colour and markings from 1943. 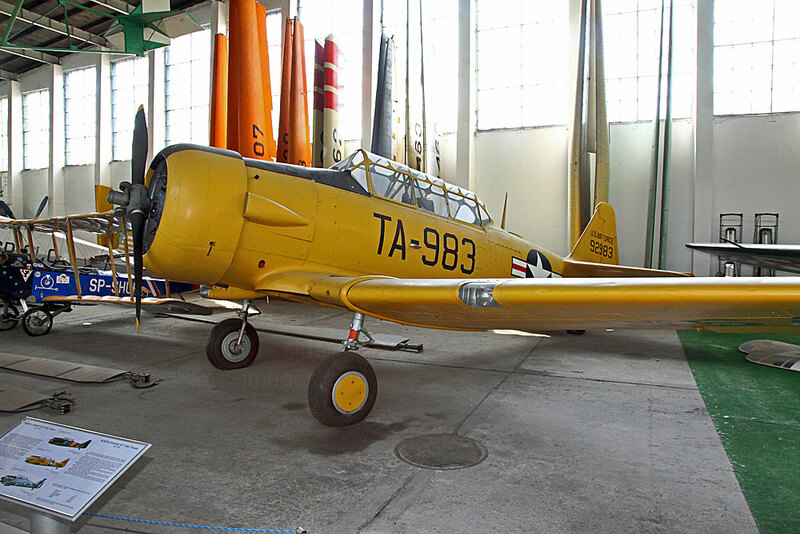 ​The T-6 Texan is an American single-engined advanced trainer which was used to train pilots of the United States Army Air Force (USAAF), United States Navy, Royal Air Force, and other air forces of the British Commonwealth during World War II and into the 1970s. 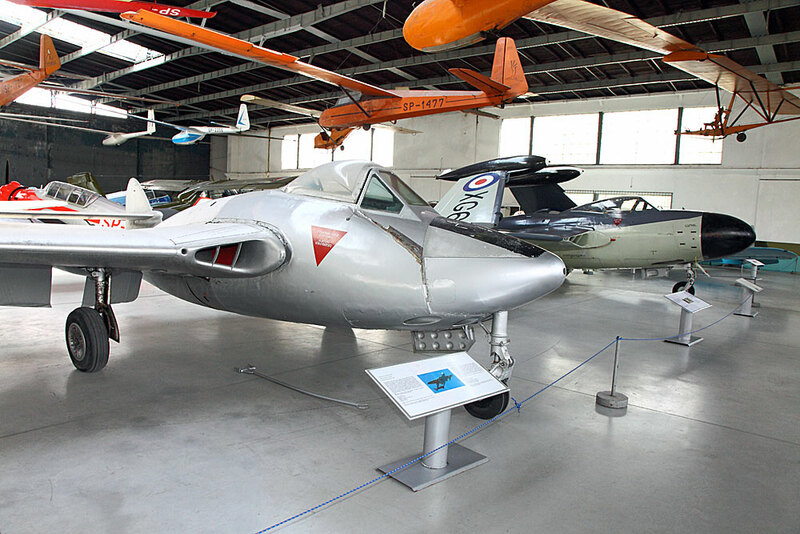 ​This aircraft was built in 1949 and saw combat with the French Air Force in Algeria 1954–1961. It became part of the Museum`s collection in 1993. Partially visible suspended from the ceiling in the above shot is a Wrona (Crow) bis primary training glider which dates from the 1930s. 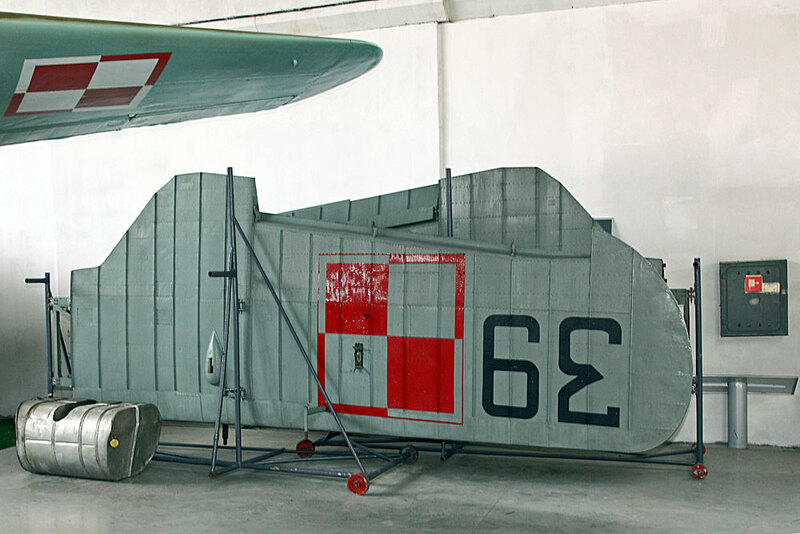 The prototype was built at the Glider Workshops in Warsaw and first flew in spring 1932, proving to be a successful design and consequently the type was widely used, equipping almost every gliding school in pre-War Poland. The improved Wrona bis had an increased wing span and reinforced construction. Around 400 Wrona-bis gliders were built between 1934 - 1939 at various locations including the Military Glider Workshops in Krakow. Cessna UC-78A Bobcat SP-GLC was used by the Polish research and development centre. Built for the USAAF, the UC‑78 derivative served as an executive transport and training aircraft. After the end of WW2 large numbers of these aircraft were sold to various countries as war surplus. Poland bought 21, fourteen of which were brought to operational status, while the reminder served as a resource for spare parts. 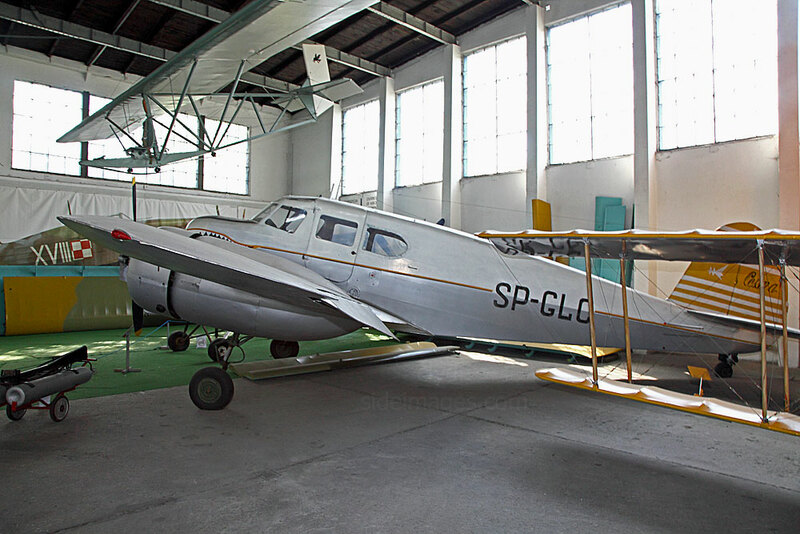 LOT Polish Airlines utilised Cessna Bobcats until 1949 when the sole remaining aircraft (registration SP-LEM) was handed over to the Aviation Institute, where it was re-registered as SP-GLC and used until 1962. 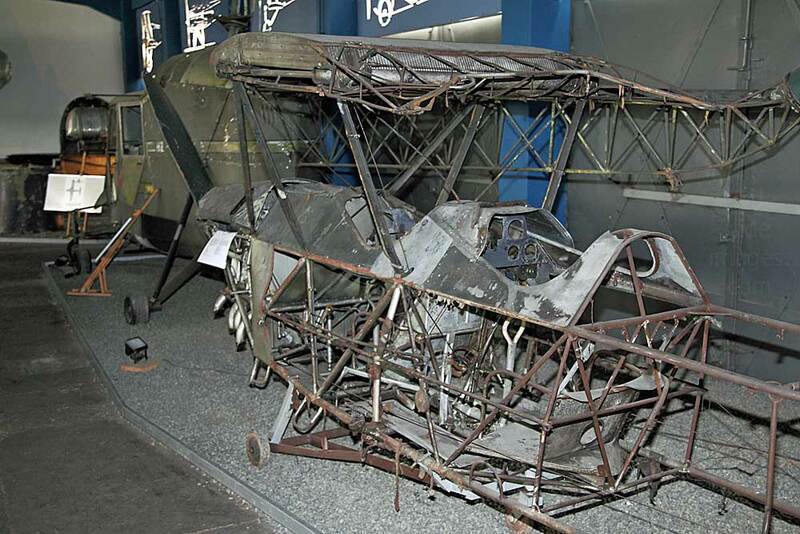 In June 1953, two record-setting parachute jumps from altitudes of 4,600 m and 4,800 m were made from this aeroplane. The SP-GLC owed its long lifespan to the cannibalisation of other aircraft, hence the addition of sharks teeth on the nose. ​The Avia B.33 (licenced Il-10, NATO: Beast) was a Czech-built, upgraded version the famous WW2 Soviet Ilyushin Il-2 Sturmovik ground attack aircraft. In 1953–1954 the Avia works exported a large batch of these aircraft to Poland, Hungary, Bulgaria and Romania. Out of the 1,200 produced, almost 600 aircraft were for export. The B.33 and the CB.33 trainer service in Poland with assault regiments and the Naval aviation flight until 1960. After that year most were retired from service, but a few remained and played an auxiliary role. 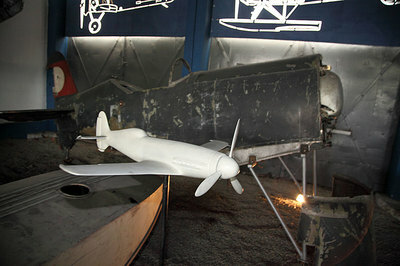 The displayed aircraft "4", earlier "29", was produced in 1952 and handed over to the museum in 1964, following an exhibition commemorating the 20th anniversary of the Polish People's Republic. Below: The Tupolev Tu-2S (NATO: Bat) ​served with the Soviet Air Force from 1942 until the mid 1950's when the Soviet Union passed a number of machines over to Poland, Hungary, Bulgaria, the People's Republic of China and People's Korean Republic. In Poland probably seven Tu-2's were utilised from 1950-1957. 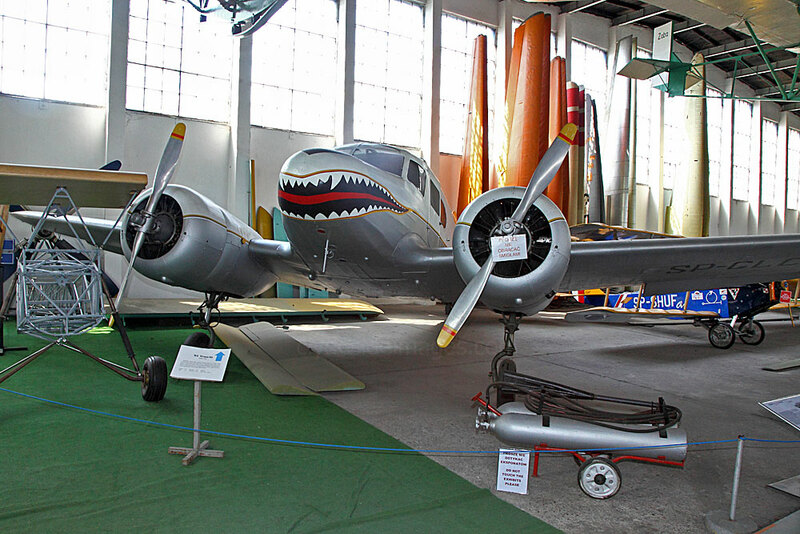 The aircraft on display was built in 1947. In the mid 1950's it was rebuilt and adapted for ejection seat tests. 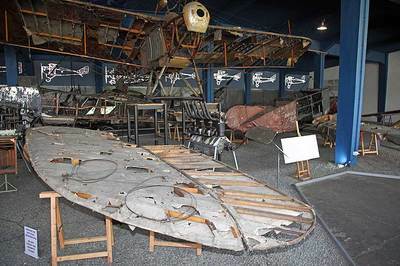 After retirement in 1964, it was handed over to the museum. 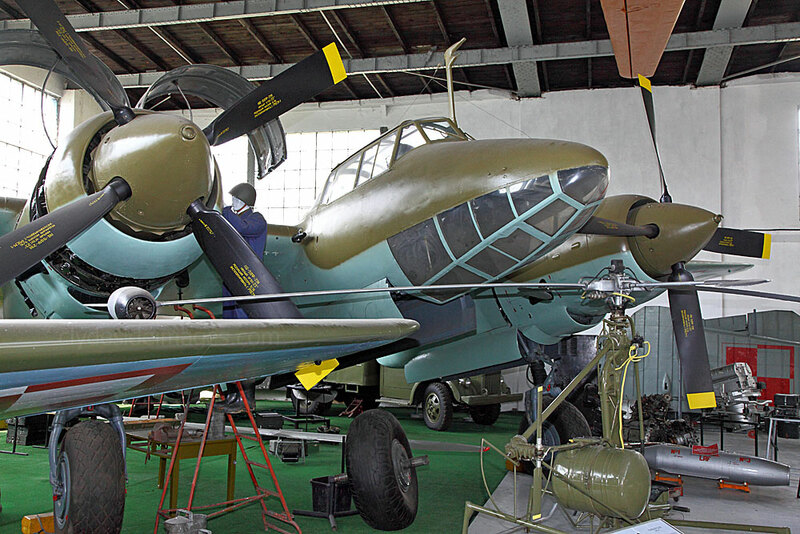 ​​Below: Yakovlev Yak-11 (NATO: Moose) construction number 64236. After World War II had ended, the Alexander Yakolev Construction Bureau started work on a new transition trainer. 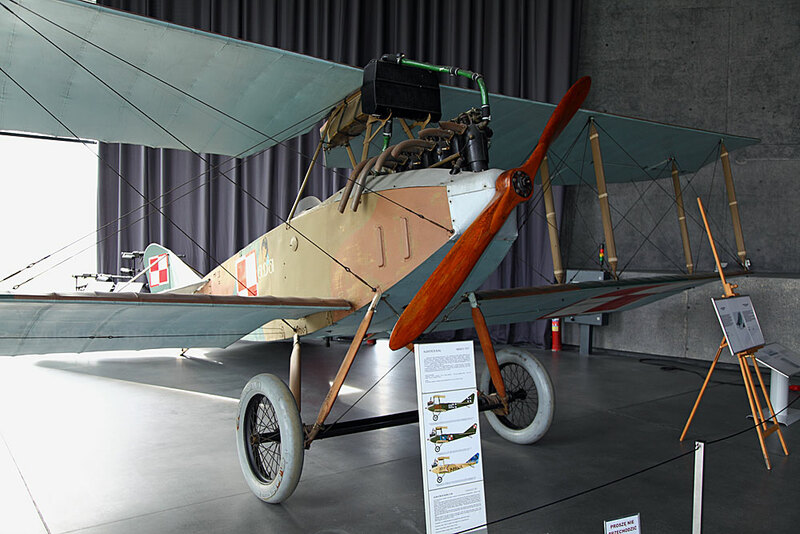 This two seat aeroplane was intended as the next step for pilots who had already gone through initial training on the Po-2. The new aeroplane was simple and cheap to produce with its design based on the Yak-3U fighter. The prototype was developed in 1946 and the Yak-11 went into production the following year. 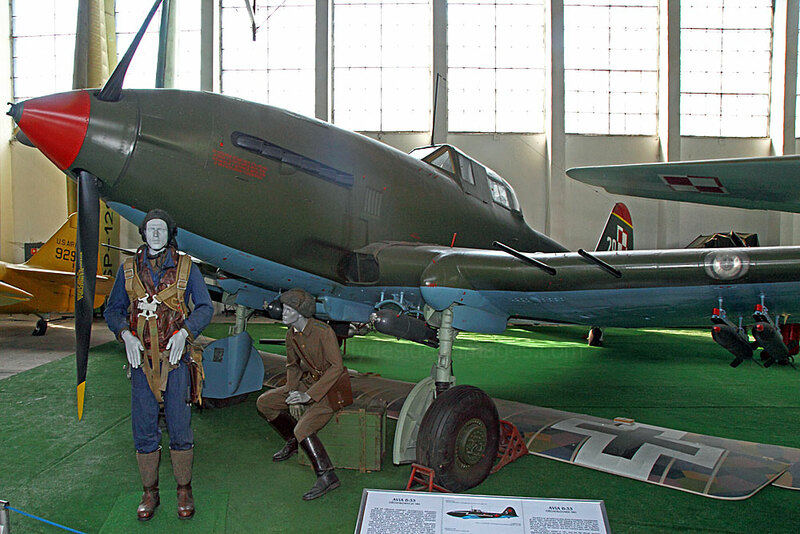 Despite its advantages, the Yak-11 was difficult to fly, having a tendency to swing during landing and take-off. 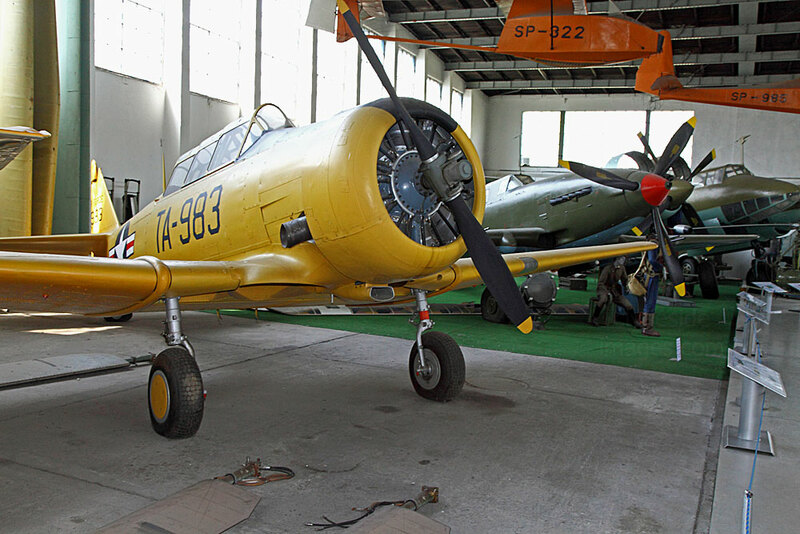 In total, over 4,500 were produced in the Soviet Union and Czechoslovakia (as the Let C‑11), including a nose wheel variant, the Yak‑11U. The type remained in service until the introduction of the TS‑8 Bies trainer. The aircraft was also used in Albania, Afghanistan, Iraq, Austria and Yemen, and by the Polish Air Force between 1950–62. 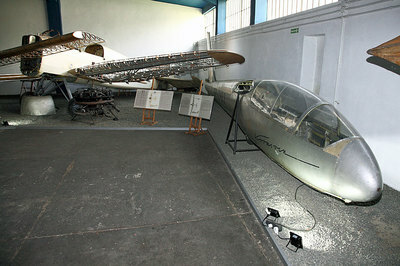 The aeroplane on display was manufactured in the Soviet Union in 1962. 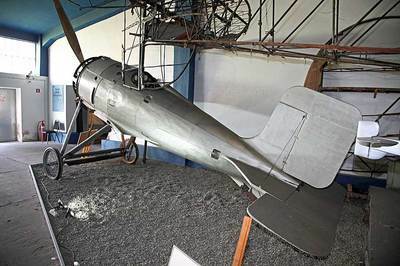 It was donated to the museum after the Aviation Exhibition held at Rakowice-Czyżyny airfield in 1964 to celebrate 20th Anniversary of the Polish People's Republic. ​Yakovlev Yak-17UTI (Yak-17W) SP-GLM: The Yakovlev Yak-17 was an early Soviet jet fighter developed from the Yak-15 and first introduced in the late 1940s. The trainer version, known as the Yak-17UTI (NATO reporting name Magnet), was the only Soviet jet trainer of that decade. Both aircraft were exported in small numbers and the Yak-17 was soon replaced by the far superior MiG-15 beginning in 1950. 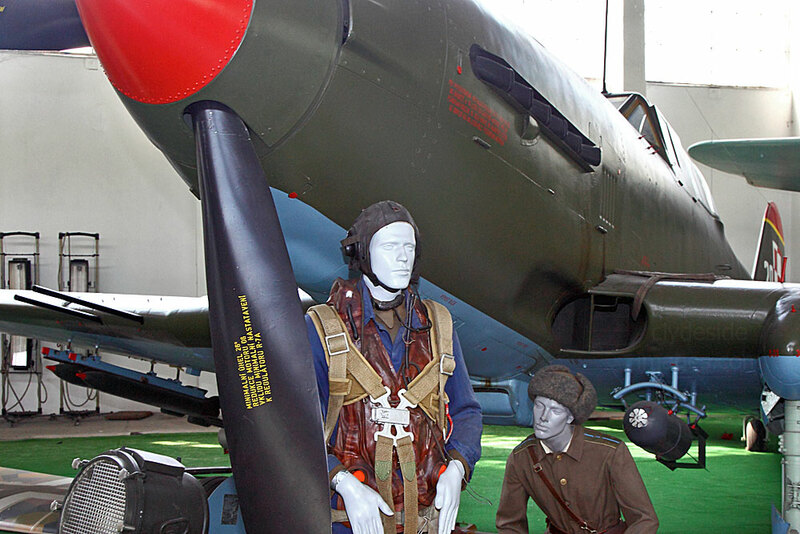 The tandem-seat, dual-control Yak-17UTI trainer was the most-produced variant and apart from the USSR, air forces of Bulgaria, China, Czechoslovakia, Romania and Poland all flew the type. Six trainers served with the Polish Air Force between 1951 and 1955, when they were withdrawn from service. 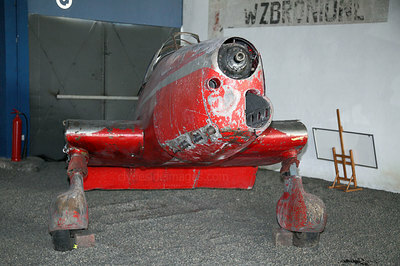 At the beginning of 1957, two Yak‑17W's were delivered to the Aviation Institute in Warsaw but one had serious fuselage damage and the aircraft was written off but cannibalised to repair the second aircraft, seen here, which was used for flight tests connected with the new TS‑11 `Iskra`design. 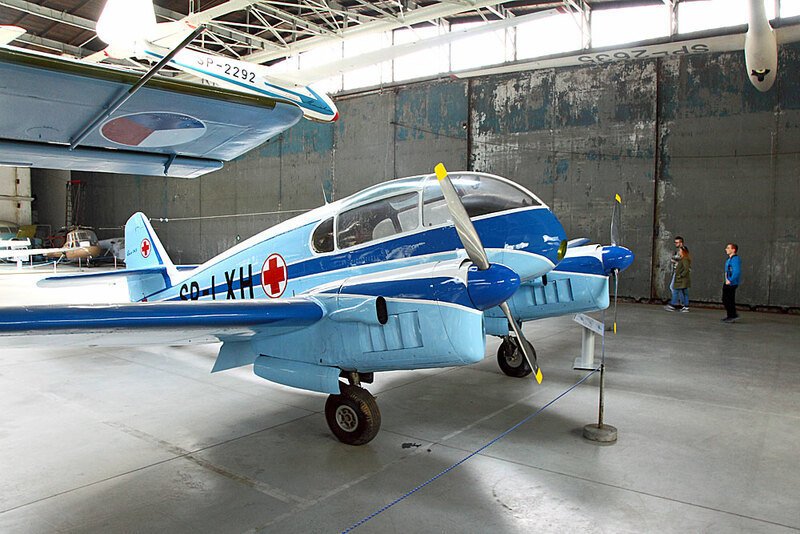 The four-seater Aero Ae-145 was built at the Kunovice design bureau in Czechoslovakia in 1959 as a modified version of the successful Aero 45 civilian utility plane. The Soviet Union was the main operator of the Aero Ae-145 but it was also exported to Asia and Africa and some examples found their way to Australia. ​Eleven were sold to Poland where the type was used extensively in the air ambulance role in the 1960s and `70s. 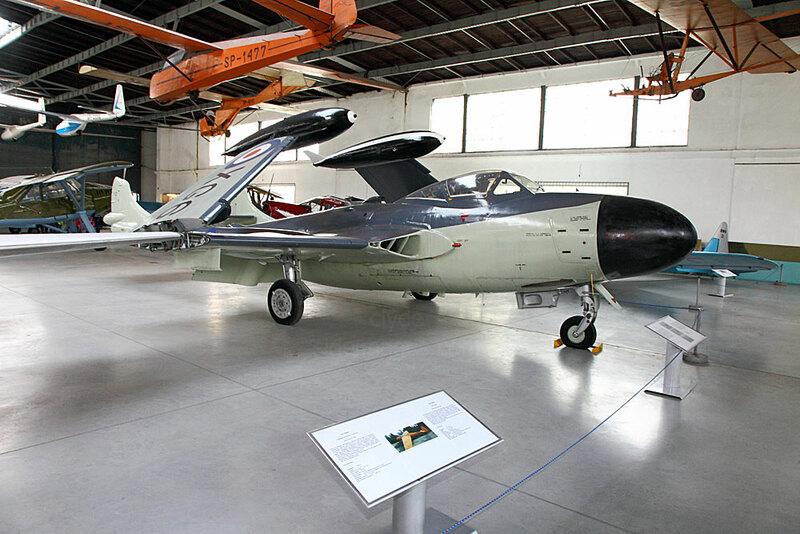 Frequent upgrades including more powerful engines, enabled the aircraft to compete on the market for some years but production was halted due to the introduction of the L-200 Morava, which was expected to gain as much popularity abroad as did the Aero Ae-145. Two examples of the Aero Ae-145 are held by the Museum. The first one, s/n 172006, was manufactured in 1959 and after having served with the Institute of the Civil Air Vessels Control and with the Air Service Enterprise, was handed over to the museum. The other, s/n 172011, registration SP-LXH, seen here, comes from the 1959 production batch. 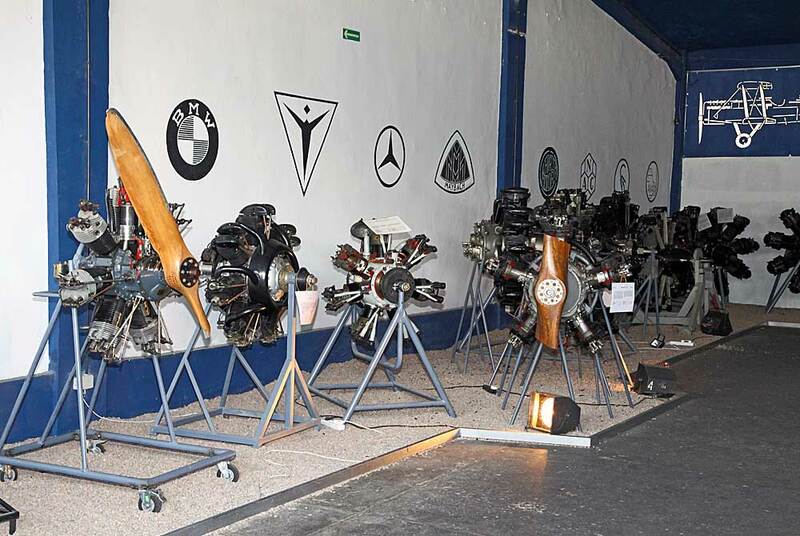 After completing 2,800 hours of flying with the Ambulance Aviation Team in Zielona Góra, it was presented to the Museum in 1980. 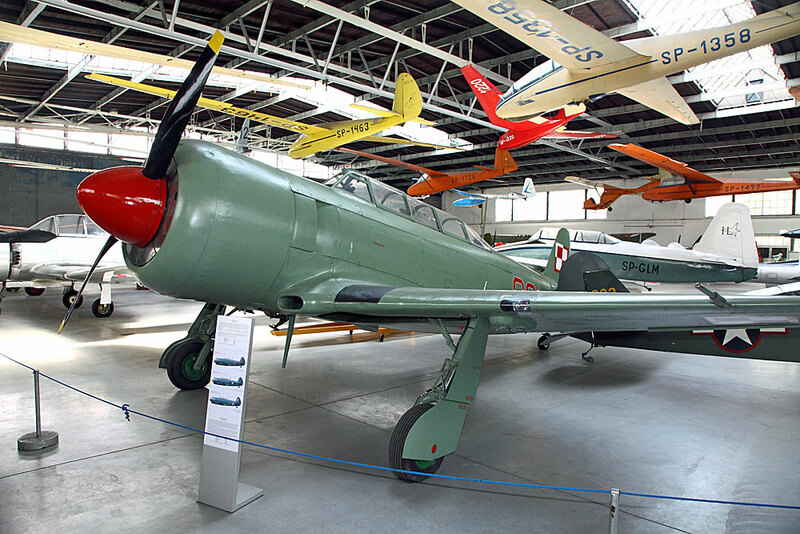 Above: The Yakovlev Yak-23 (NATO: Flora) was the first jet fighter to become operational with Polish military aviation. It was developed by the Soviet Union from the Yak-17 in the late 1940s and used a reverse-engineered copy of a British engine. The aircraft, which had a nose wheel undercarriage, was armed with two 23 mm cannons buried in the fuselage and could also carry two auxiliary fuel tanks on the wing tips. Provision for two bombs was also included. The Yak-23 flew for the first time in July 1947 and in November of the same year the second test aeroplane took to the air. 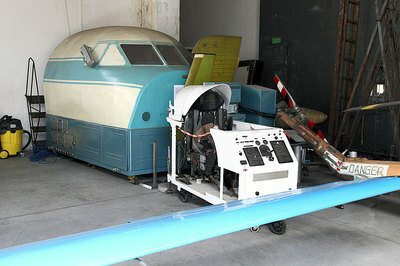 In 1950, work on the training version started, with three prototypes built, each with different cockpit layouts although none went into production. At the beginning of the 1950's, a decision was made to export the planes to Warsaw Pact countries with Poland being the type`s largest operator with 90. The Yak-23 also served with Bulgaria, Czechoslovakia and Romania. 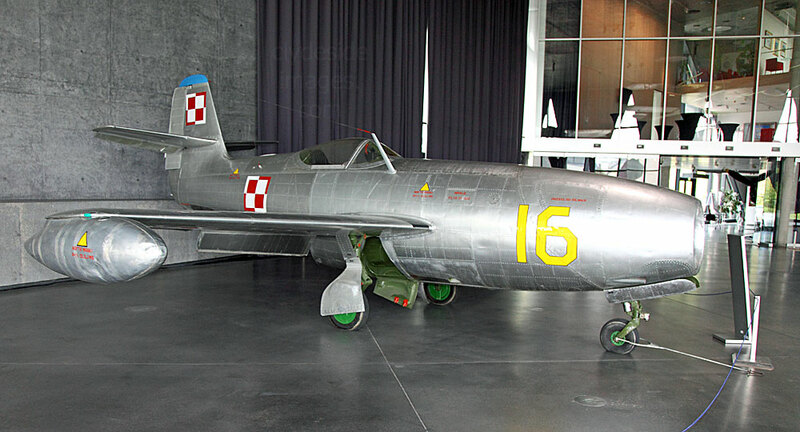 In November 1956, a Polish Air Force jet, flown by test pilot Andrzej Abłamowicz, set an international climbing speed record. 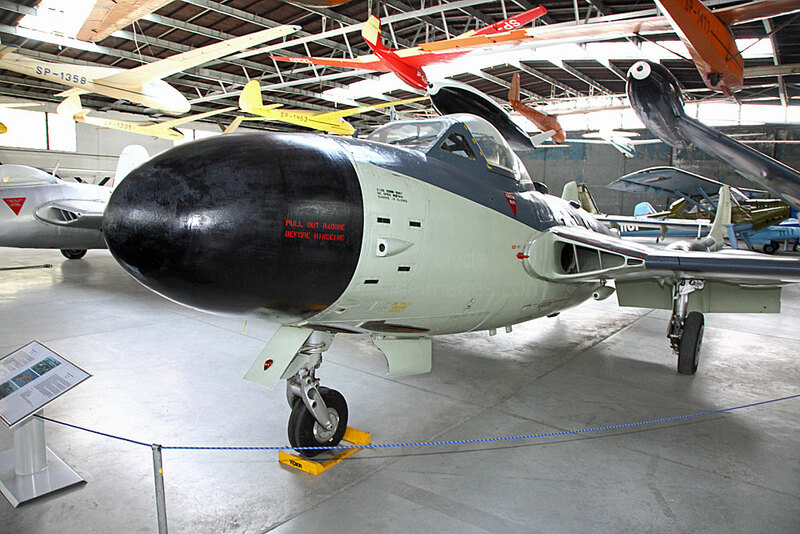 ​An ex-Swiss Air Force Vampire and Royal Navy Sea Venom. Sea Venom XG613 served only as an in flight test bed and never flew operationally. In 1969 it was donated to the Imperial War Museum, after which it was transferred to the Shuttleworth Collection at Old Warden. 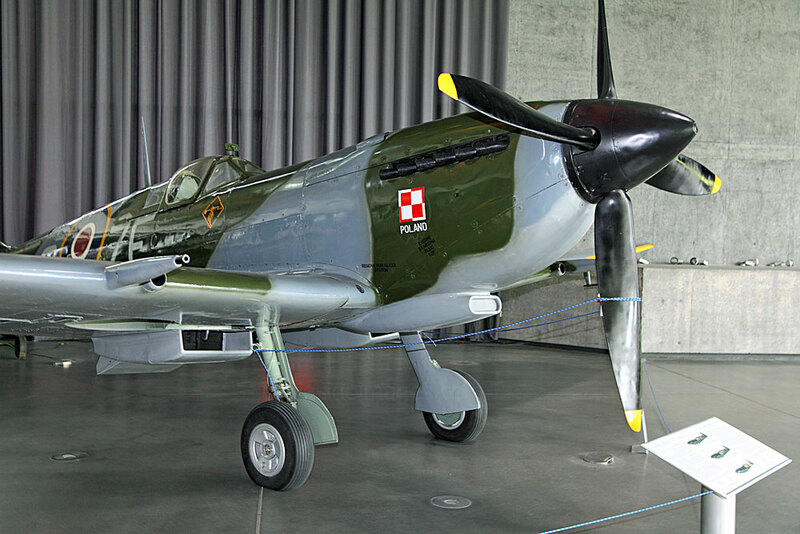 It then moved to Duxford where it remained until 2012 when it was purchased by the Polish Aviation Museum, reaching Krakow in May 2013. This Starfighter is displayed in one of the hangars, next to an ex-Swiss Air Force Allouette III helicopter (below), serial number 1079, tail number V-257. Below: At first glance this small aircraft looks like your average home-built sports plane, however, it has a very interesting history. In the late 1960s, amateur aircraft designer Eugeniusz Pieniążek worked at the Gliding Centre in Leszno, and during the course of his work he demonstrated Polish gliders in Sweden, getting to know a number of Swedish pilots in the process. Because of this, once he returned to Poland, he was harassed by the secret police. Although he had no chance whatsoever of obtaining a passport he decide to leave the oppressive Communist regime and defect. Rather than steal a plane, he decided to build his own. He based his design on a British experimental single-seater, the Turbulent and components came from various gliders and an engine and landing gear from a Piper Cub. Building the aircraft took place mostly in a cramped room within Pieniążek’s third-floor flat and once components were finished, they were lowered on a line through the window. 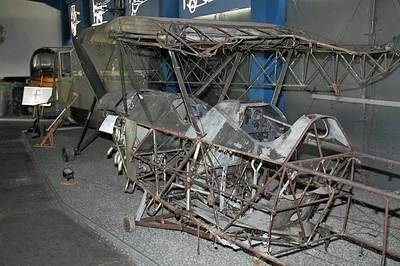 Final assembly took place on the Leszno airfield and Pieniążek’s named his finished project as `Kukułka` (Cuckoo), after it was suggested by his seven year old daughter. ​The airplane was first flown in spring 1971 and as the first Polish experimental airplane was allocated the registration SP-PHN. Pieniążek made demonstration flights all over Poland, training some 44 pilots, including 5 females. On the morning of 13 September 1971, Pieniążek flew his Kukułka on a route from Bielsko-Biala to Krosno in southern Poland, near the Czechoslovakian border. He was supposed to return that afternoon but flew over Czechoslovakia and Hungary reaching , Subotica, Yugoslavia, three hours later. The Yugoslav authorities detained him and he spent 7 months in jail (learning Serbo-Croatian in the meantime).He was later pardoned and allowed to cross illegally into Austria. From there he left for Sweden, where he settled down as an immigrant, receiving Swedish citizenship. 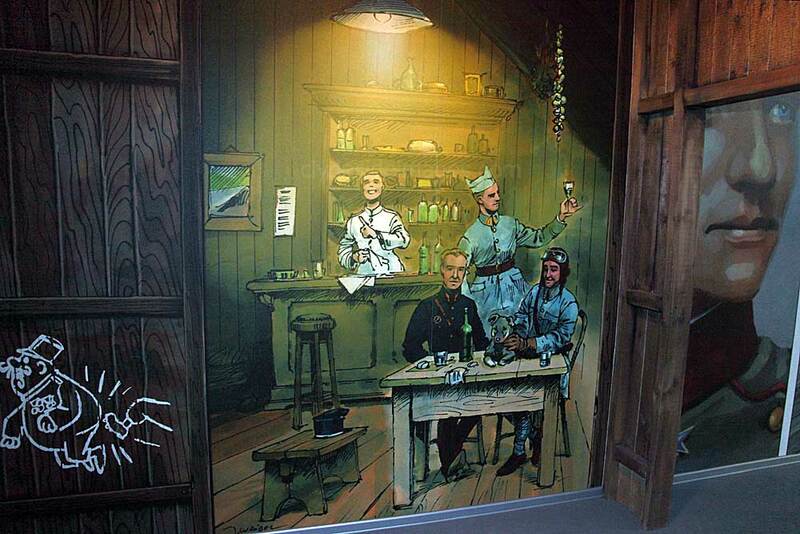 With the help of his Swedish associates, he brought his wife and daughter to Sweden. 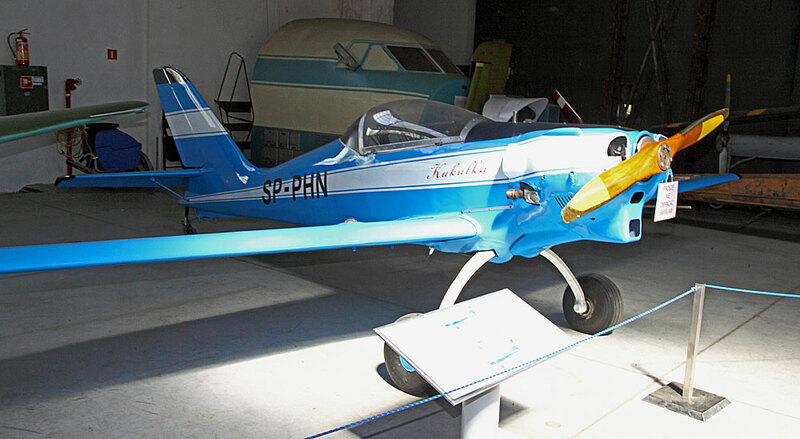 In 1973 Mr. and Mrs. Pieniążek returned to Subotica, to bring the Kukułka to Sweden and after much wrangling, the plane was only released after Pieniążek had paid 1,200 $US Dollars storage fee. The Kukułka was then towed behind a VW Beetle with the wings on the roof of the car. 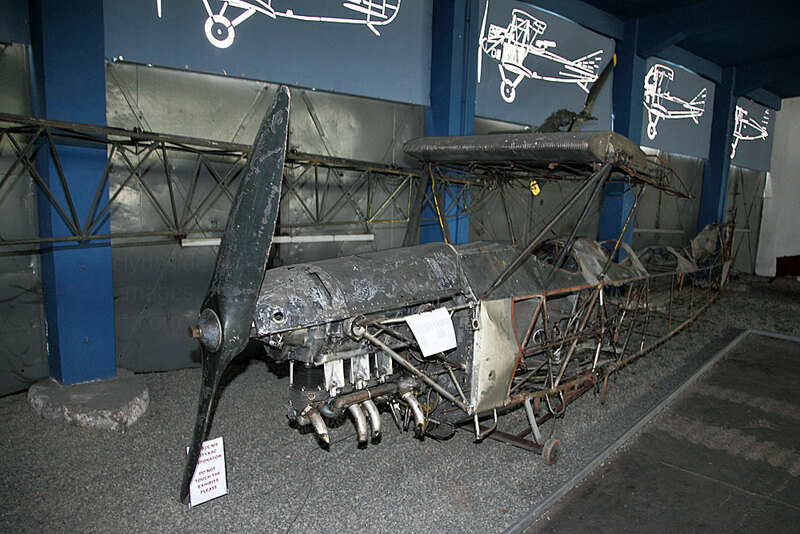 On 13 September 2005, on the 34th anniversary of his flight to Yugoslavia, Eugeniusz Pieniążek donated the plane to the Polish Aviation Museum in Krakow. 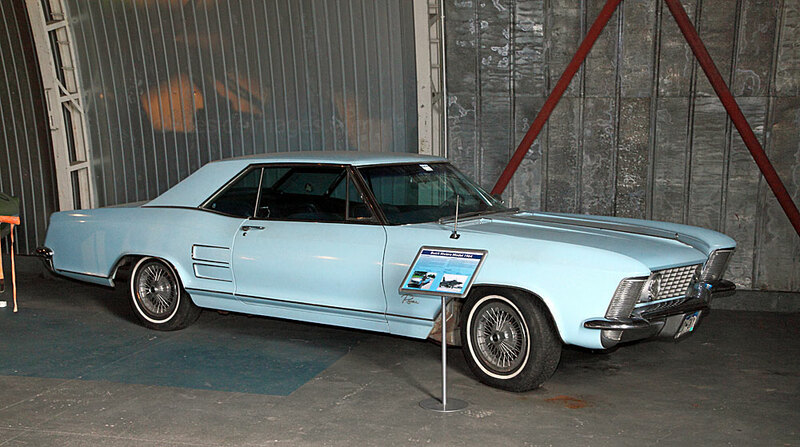 This car was owned by a high-ranking US / NATO Commander who was stationed in Germany during the Cold War. 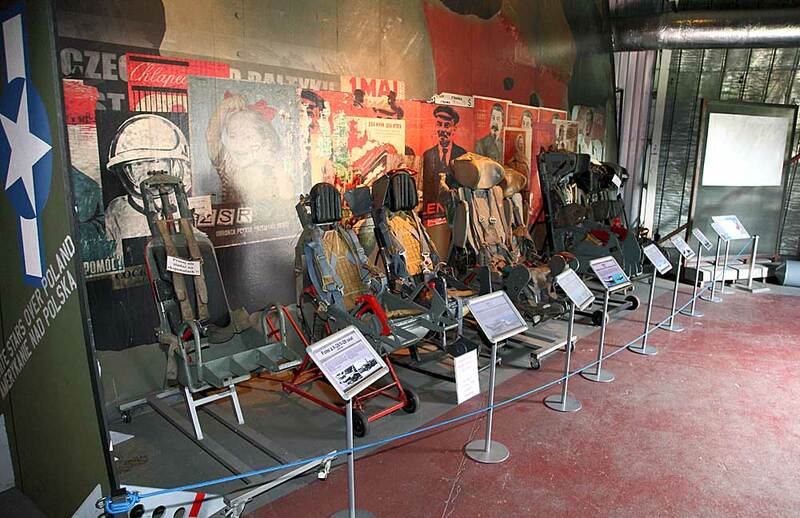 A variety of ejector seats from fighter jets. 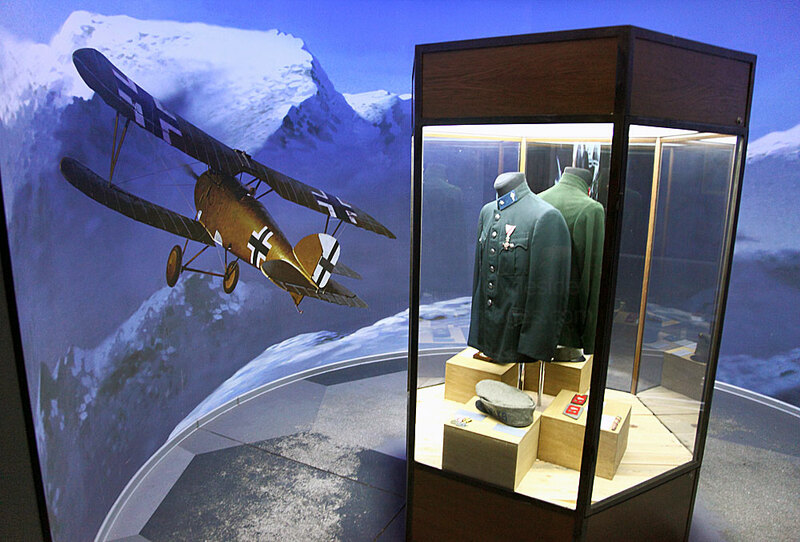 One of the hangars contains a display on Polish paratroopers, the most famous of whom was General Stanisław Franciszek Sosabowski CBE (left) (Bn. 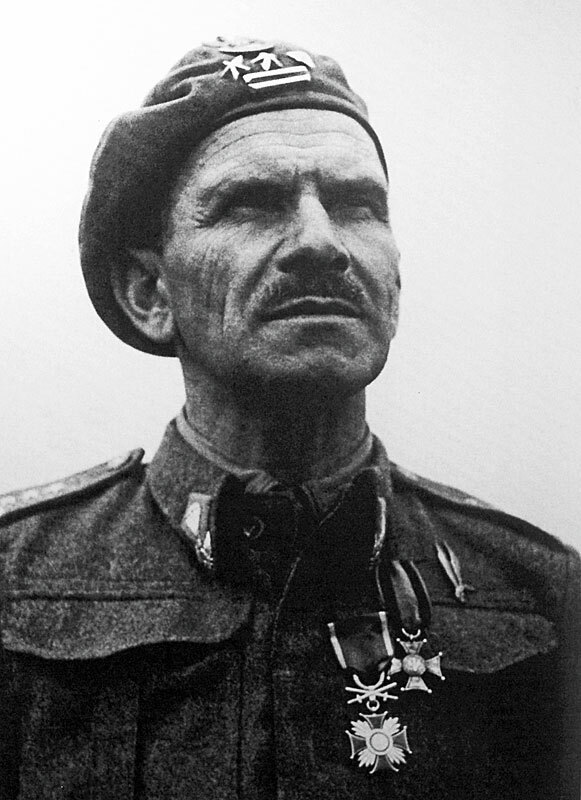 8 May 1892 – 25 September 1967) who commanded the Polish 1st Independent Parachute Brigade during the Second World War. In early August 1944, news of the Warsaw Uprising reached Great Britain. The Brigade was ready to be dropped by parachute into Warsaw to aid their colleagues from the underground Polish Home Army, who were fighting a desperate battle against overwhelming odds. However, the distance was too great for the transport aircraft to make a round trip and the Soviet`s denied access to their airfields. The morale of the Polish troops suffered badly and many of the units verged on mutiny. The following month, Sosabowski led his troops into the Netherlands during Operation Market Garden, better known as the Battle of Arnhem. Visitors can check out the various recovered wrecks and restoration projects currently ongoing, with several rarities to be found among the airframes. 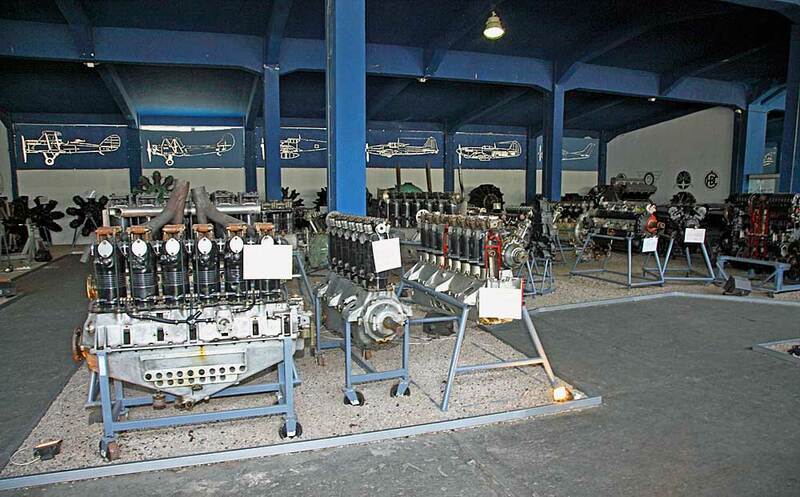 There`s also a large collection of aero engines on display in one of the other hangars. ​Please bear in mind that all images on this website and my blog are Copyright. They are not free to use and have been embedded with a digital watermark.